Nadia Hussain is a Pakistani actress, fashionable model, and TV host. The multi-talented lady is a dentist by profession. She is considered as one of the Top Stars in the world of Pakistan Fashion Industry. The actress is very brilliant and has been appeared in so many ramps, modeling and photo shoots. She is also a famous entrepreneur and fashion designer. The lady wants to stay firmly in her position and never wants to leave the showbiz industry easily. Nadia Hussain was born on January 11, 1979, in London, United Kingdom. Later, her family moved to Karachi where Nadia began her schooling at Beacon House School Systems. After receiving earlier education, she admitted into Fatimah Jinnah Dental College and successfully completed her graduation from there. 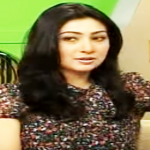 Tina Sani is her lovable aunt. Nadia Hussain made her debut in the field of showbiz industry as a model when she was only 19 years old. Mubashir Khan introduced her in this fashion & style world. Throughout her career, Nadia has performed in many modeling and fashion shoots, particularly in Bridal Shoots from where she earned huge praises and fame. The popular model, Nadia was selected as one of the ‘Bridal Asia’ in India. Besides fashion shows, the actress is performing in commercial campaigns. She is a famous celebrity at national and international level. As a model, Nadia got huge success so; she decided to test her acting talent. 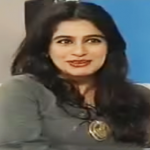 Thinking So, she made her acting debut with super hit drama ‘Eishq Junoon Deewaangi’ which was aired on Hum TV in 2009. In the drama, Nadia had appeared as a guest actress but surprisingly it opened the doors of success for Nadia in the field of acting. Later, she starred almost a dozen of drama serials including ‘Ladies Park’,’ Omar Dadi aur Gharwalay’, ‘Mitthu Aur Aapa’ and ‘Kitni Girhain Baaki Hain’. At present, Nadia is working in the modeling industry as a successful model and working as an entrepreneur also. 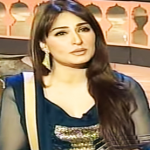 Nadia Hussain is an appealing lady from early life. She had an affair with supermodel Vaneez Ahmed’s brother but their relation did not reach towards marriage. Later, Nadia met with Atif Khan who is a banker and investor. The man proposed the nice looking model to become his life partner and Nadia reply with a gorgeous marriage ceremony. Now Nadia is a loving mother of four children. Shadal, Shanza, Shasha, and Sherdad are her sweet four children of whom three are daughters while only one son.